I crept along the base of the cliff, moving slowly and deliberately, terrified that one step in the wrong place would attract the attention of the nearby pack of hyenas. Though I had spent the better part of a day constructing a full set of armor, I knew that my meager mail would offer little protection against a gaggle of wild dogs. My fighting style was too primitive, and even with my stone sword, I would be lucky to land one out of three attempted blows. Maybe…maybe I could take them on one at a time, but in a group they would quickly overwhelm me, and I had no desire to be killed this far from my home. I briefly considered turning back. I could exist comfortably for an indefinite amount of time, gathering food and water near my little hillside house and hunting the local wildlife for supplies. But if I were going to make my way in this world, I needed access to better materials, and that meant an excursion into the mountains for iron and coal. There was no getting around the fact that I needed better weapons and armor, or I would be trapped forever in the same boring cycle of “gather, hunt, build” in the little area I had carved out for myself. I would live there on the edge of survival, without ever seeing any more of the massive world whispering to me from beyond the desert. So, I had put together a plan, carefully mapping out a route to the materials I needed. I took great pains as I travelled to always know exactly where I was in relation to my home. If some ill fate did befall me, I should be able to easily find my way back to my corpse and recover my precious leather armor. Peering across the river to the path I wanted to take on the other side, I realized that creeping was not going to work. I was going to have to make a run for it. There were hyenas on both sides of my desired route. The hyena on the left was fighting a crocodile, so if I ran quickly, I would probably be able to hug closer to those two while they were distracted, avoiding the attention of the three hyenas on the right. That would allow me to skate right up the middle, staying clear of battle. Of course, the best laid plans… When I attempted my run, things immediately went south. The hyena and the crocodile mutually decided that eating me would far more interesting than fighting each other, and they broke off from their battle to chase me up a cliff. Unfortunately, the cliffside was very high, and climbing all the way to the top it was beyond my abilities. Halfway up, I realized that I would never make it to the top with my limited stamina. I knew that death was eminent. Luckily, even if I died, I knew that could come back to where my corpse rests to reclaim my possessions. Most of the stuff I was carrying didn’t matter, but the armor took a very long time to make. Losing it would be a major loss. I quickly consulted my map to pinpoint exactly where I was. I also looked around for several landmarks, being absolutely sure of my location so that after my rebirth, I could come back to recover my stuff. Assured that I could be able to find my way back, I took a deep breath and leapt from the cliff to my death, trying to get enough distance that I would land clear past the resting place of the hyenas. Awakening in my fancy new bed (which had taken several hours to make), I shuddered at my naked vulnerability. But I knew that my armor awaited me under the nearby cliffside. I had made it that far without fighting before. I could surely retrace my steps and do it again. So, grabbing my grubby spare clothes and an extra sword from my storage chest, I set out in search of my stuff, hoping against hope that I might even be able to grab some iron and coal if I was careful. Treading carefully, I made my way across the desert, retracing my steps until I finally came to the spot where my corpse should have been. The conspicuously empty spot where my corpse should have been. The hellaciously game-breaking, bug-filled, God-forsaken spot where my corpse should have been. Looking down at that empty spot on the ground where I was 100% certain my dead body (and my hard-won armor) should lie, I realized that once again, Conan Exiles had completely screwed me out of hours of my time. 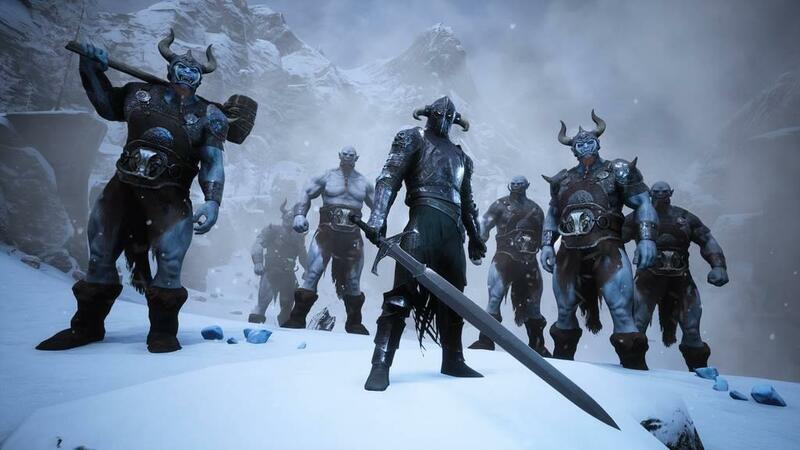 Hours of my life spent hunting down lizard men and imps, suffering through the wretched mess that is crafting in Conan Exiles to produce a set of low level armor, were hours of my life now completely wasted because Conan Exiles couldn’t be bothered to populate my corpse where it should have been. And I realized that as much as I wanted to love Conan Exiles, as much as I wanted to create my own fun stories in this savage realm, Conan Exiles was actively preventing me from enjoying it. 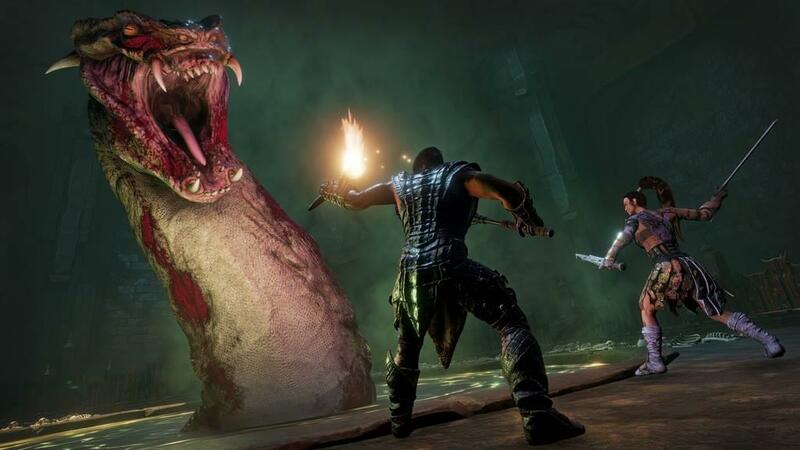 Conan Exiles on PlayStation 4 is an unplayable, buggy mess of a game. 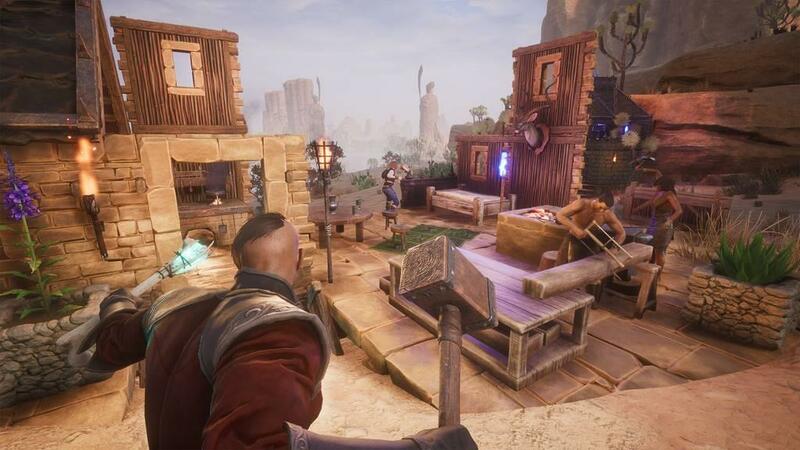 Maybe it plays much better on PC, but on PS4 Exiles is a disaster. Outside of the base-building UI, which is polished and a pleasure to mess around with, almost every other dynamic in the game is broken. I spent 45 hours playing in both single and online PVE servers (the notoriously aggressive PVP servers hold no appeal). I set that time limit for myself, to be certain that I was giving the game a fair shake. And by the end of that time, I knew that I would never want to touch this game again. Every time I thought I was making progress, the game did something stupid that set me back and eliminated several hours of work. Conan is a game that, by design, does not mind donking you over the head and stripping you of your hard work, and that is fine. That is the nature of survival games. Your camp gets raided and guys knock down your buildings and steal your stuff. Fine. You get lost in the desert and are unable to find your corpse to recover your equipment. Also fine. 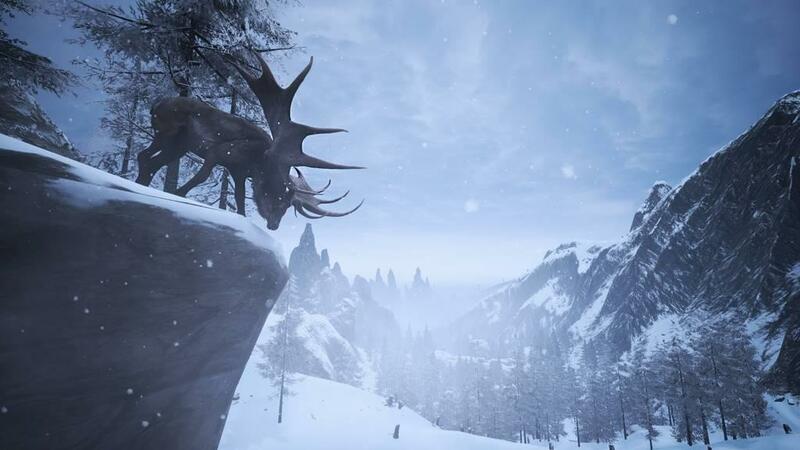 Part of the fun of survival game is finding ways to overcome the challenges, coming back after set-backs, carefully planning out and sticking to a plan, avoiding getting dangerously sidetracked. My corpse disappeared from the world five times, preventing me from recovering my armor, weapons, and crafting materials. Each time, I lost hours of progress. An enemy walked into a teepee-style fire pit and became stuck there between the logs. I was unable to strike him while he was lodged in the fire, but he was able to freely fire arrows at me. For several hours, walking into the area rewarded me with arrows to the face, which I was unable to retaliate against. An enemy phased through the walls of my house like Kitty Pride, striking me in the safety of my home and killing me while I was rearranging my inventory. Unsure of what happened (I was in the inventory screen), I respawned and was looking for my corpse (not there, of course) when the enemy slid back through the wall and killed me again. Countless enemy corpses disappeared from the world after I killed them, preventing me from looting them. Pretty much any time I fought multiple enemies, I could count on the corpse of the first enemy killed to disappear while I fought the subsequent enemies. 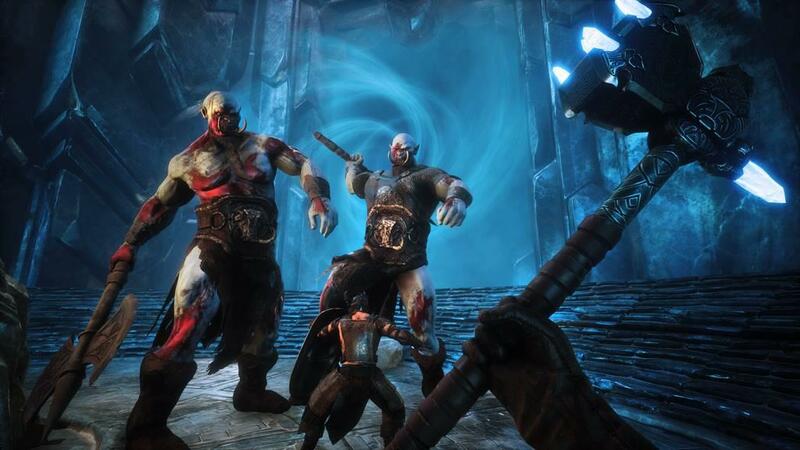 Maybe its just me, but I feel like if combat is so clunky and difficult that I am taking my life into my own hands every time I fight something, I should at the very least be able to reap the benefits and loot the corpses when I win the fight. Hit detection in Exiles’ combat is a crap shoot. There is no method to lock on to bad guys, and the animations are so stiff and awkward that your character requires careful maneuvering so they don’t end up attacking nearby trees instead of enemies. Even when you manage to get your character facing the correct direction, about 25% of your hits go completely unnoticed by enemies. To compound the insult, their hits count against you even when you dodge away and their weapons fall well outside of where your hitbox should be. I was killed more than once by an enemy that appeared to be at least 10 feet from my character. 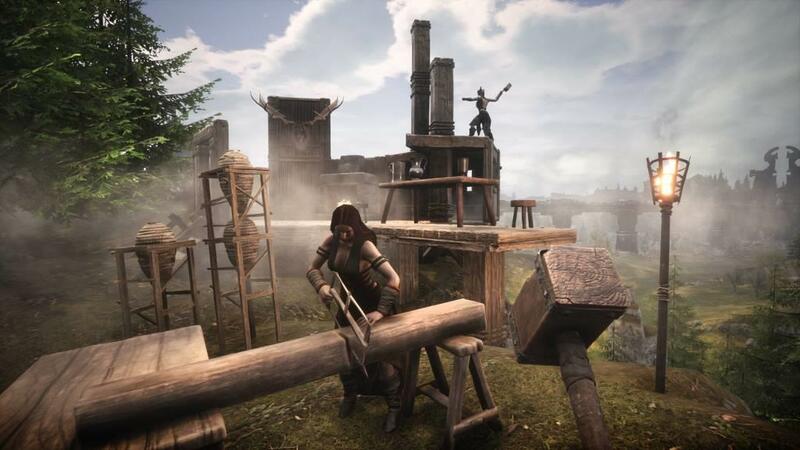 Crafting, which is one of the primary pillars of Conan Exiles, is a complete disaster. The UI is overly complicated, filled with tiny icons with no clear way to distinguish what is what. There are some filters, but the UI is designed in such a way that it is unclear how to use them. With little direction in how to find what you want to create, let alone instruction on how to create it, the player is left to fumble about, hoping to find the correct combination of buttons and prompts. To illustrate my point, lets look at the simple act of cooking meat. Killing creatures allows you to loot raw meat from their corpses (when they don’t disappear). Eating wild meat without cooking it first will win you a bad case of food poisoning, so it needs to be cooked before consuming it. So, you run around and knock down enough trees to build a campfire. Once your fire is built, you have to “open” the campfire, placing wood inside for fuel, along with the meat you want to cook. At which point you would expect the meat to cook, but it doesn’t. It just sits there in the fire, raw. It turns out that to activate the cooking “action”, you have to press the L2 button. Why? No reason that I can discern. How does the game communicate this to the player? It doesn’t. There is a little diagram in the game indicating that you should put the stuff in the fire, but there is nothing at all explaining that you need to push a button to start the process. Have fun Googling, because Conan isn’t talking. The whole game is like this. How do you learn new recipes? Figure it out! What order should you learn them in? Figure it out! How do you move stuff from your inventory to your quick-access wheel? Figure it out! How do you place the foundation for your home on the ground? Figure it out! I don’t mind having to suss out the combination of materials to create an iron bar. I don’t mind knowing nothing about the world I am in, or how to navigate it to survive. I certainly don’t mind learning how to defeat enemies, or how to avoid dangerous areas until I am ready for them. I DO mind having to fiddle with the buttons of a controller for a half hour every time I want to try something new, trying to discern the arcane combination of inputs required. As I mentioned before, the base-building aspect of the game is actually pretty fun. Once you have slogged through the material-gathering phase (slow, tedious), placing walls, floors and roofs is actually intuitive and fun. I slapped together my first house in a matter of minutes, satisfied with my accomplishment. But this one aspect of the game working well doesn’t make up for the 15 other systems that break at random. There is a difference between a difficult game and a game with a poorly designed interface. There is also a difference between a difficult game and a broken game. 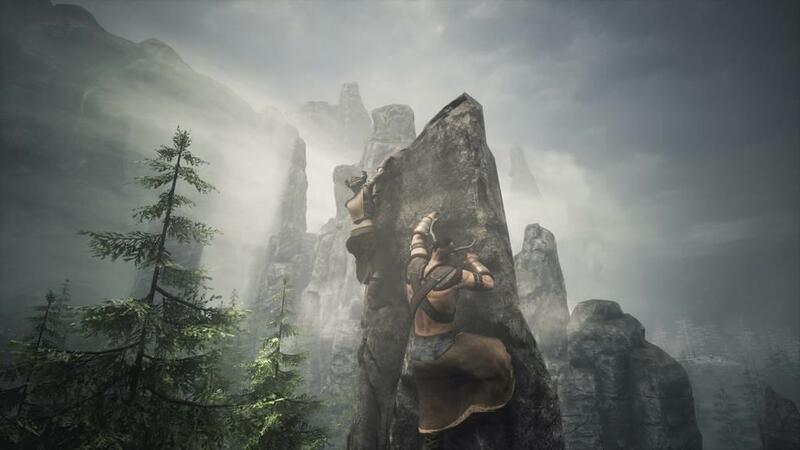 If a game is designed to be as challenging as Conan Exiles, then it had better be sure that it plays fair and does not strip players of their progress with rampant bugs and cheap kills. Honestly, most bugs in this game could be forgiven individually, but taken as a whole they overmine the experience to the point where I just didn’t want to play anymore. And the “disappearing corpse” bug is flat-out unforgivable, and unacceptable in a game that people are expected to pay for. 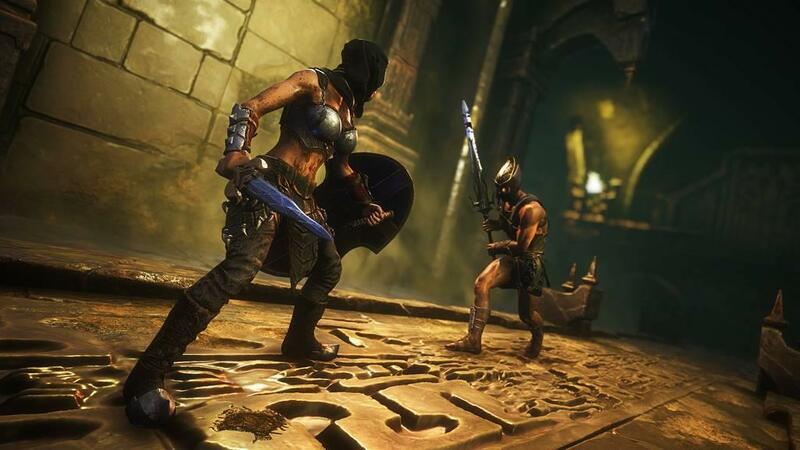 The disappointing thing about Conan is that there is a good game hiding in there, beneath the surface of broken mechanics and mysterious controls. There is an amazing world to explore, full of mysteries and delights. The design and visuals can be quite beautiful. There were hours that went by while I was playing Conan Exiles that were actually very enjoyable, but then something stupid and inexcusable would happen and all of that fun and goodwill would be right down the drain. Frankly, this game is in such bad shape that it feels like a game that just entered Early Access instead of a final release. 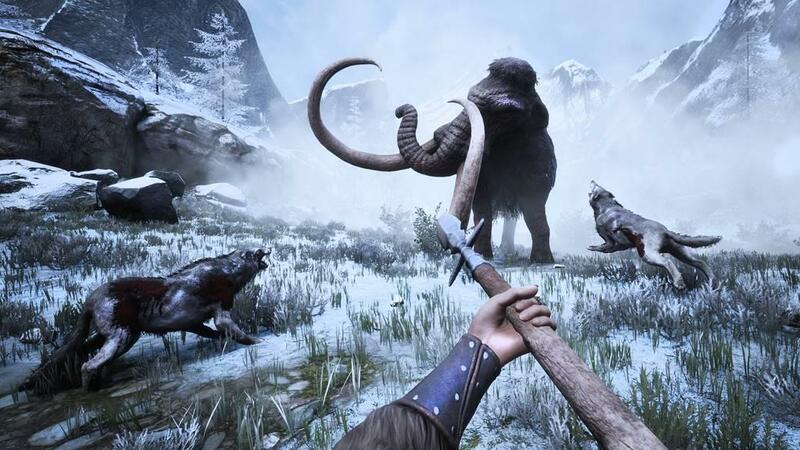 I respect all of the work that went into creating Conan Exiles, with its beautiful savage world and extraordinary creature design. But I will never play it again, and I would strongly advise curious parties to save themselves some pain and confusion by passing on this muddled experience.